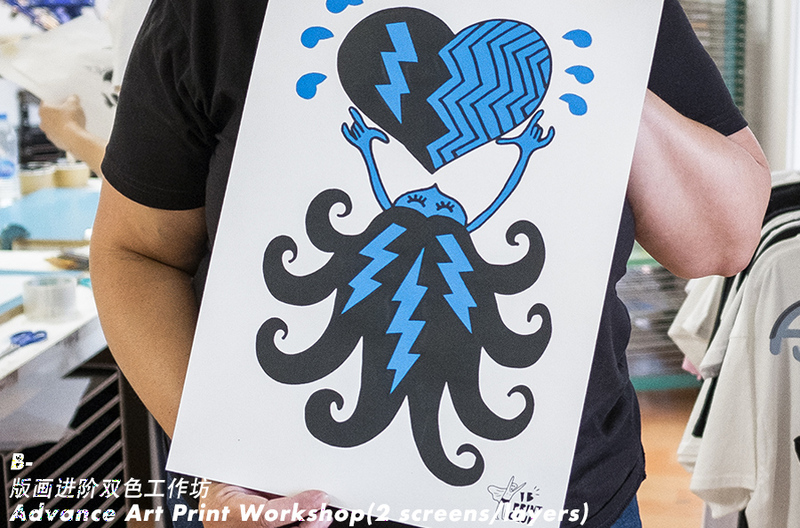 Beginner Workshop is for the ones who don’t have screen printing experience and want to learn the basics. 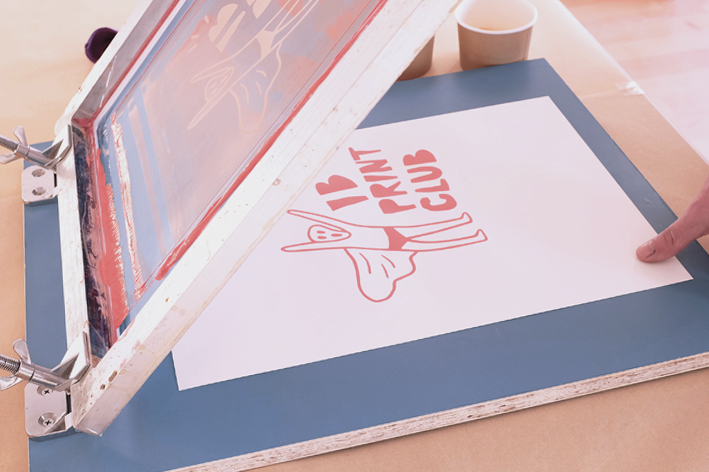 It takes you through every stage from artwork preparing, to exposing your screens and printing your image onto art paper. 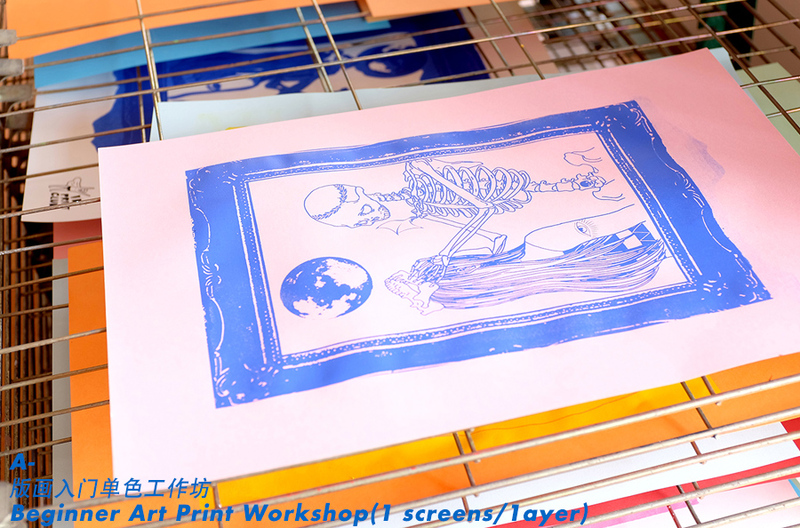 It’s very thorough and a really great workshop if you are keen to learn silkscreen technique. 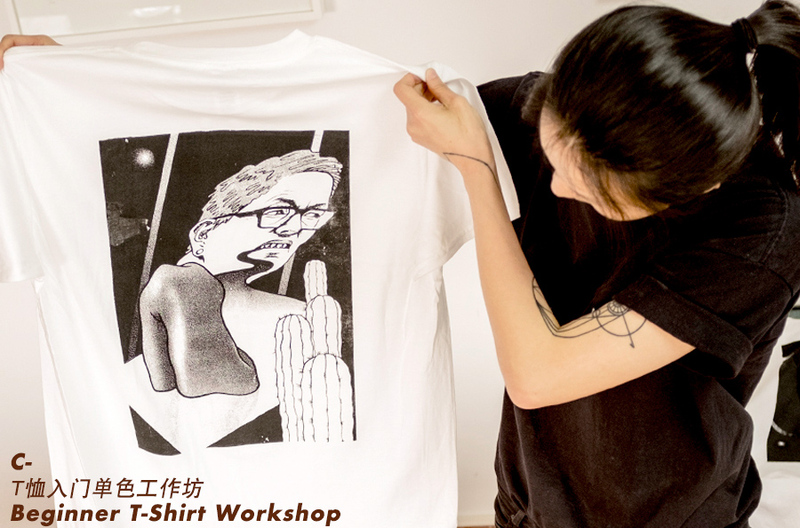 During a two to three hour session you will have a splendid time screen printing your own design onto art-grade paper or even a T-shirt or a Tote Bag. 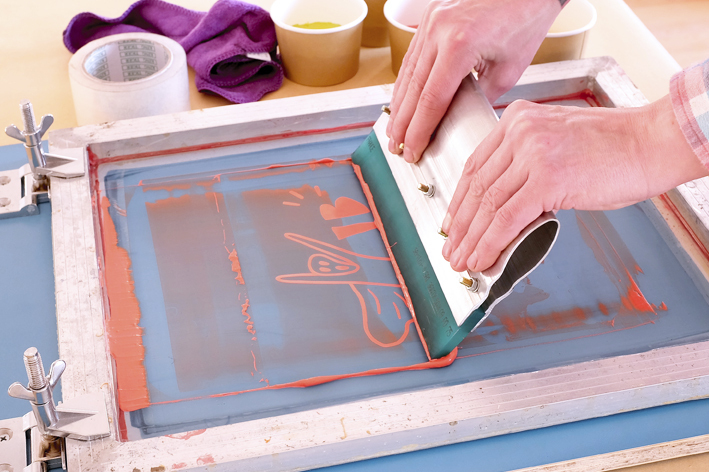 Our workshop starts with an introduction of the basic techniques of screen printing and also a brief demonstration on screen exposure. After completing these, you'll go proceed through the following steps: a trial practice on a prepared screen, artwork selection, transferring your artwork onto a screen through use of our professional exposure unit; then, setting up your own workspace, mixing inks and at last printing a batch of art paper or T-shirt or a Tote-Bag. 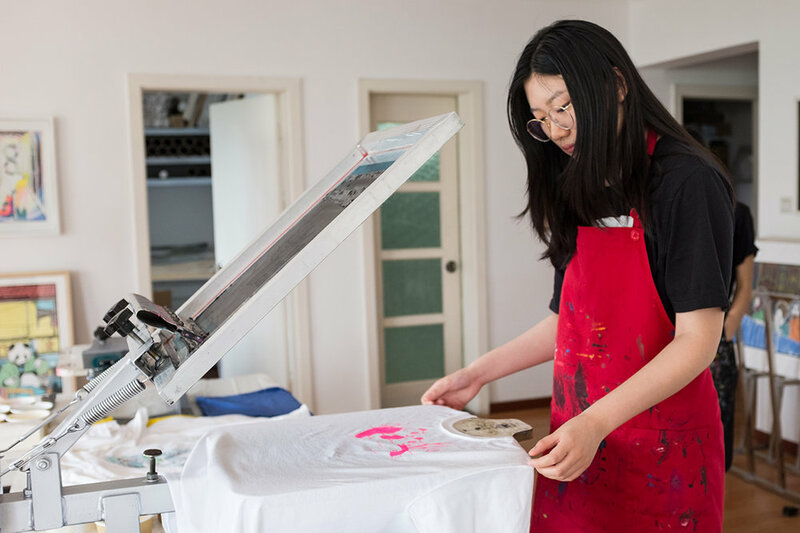 The workshop is taught in both Chinese and English, and is for anyone with little to zero experience - it's all about gaining DIY knowledge and having a fun time with screen printing! We have 3 different types of workshop available throughout the day, feel free to choose one of them, or A+C / B+C combination. IB Print Club is South Xiangyang Rd. x West Jianguo Rd., Xuhui District, Shanghai. We’ll send you the detailed address and starting time once your booking is received. 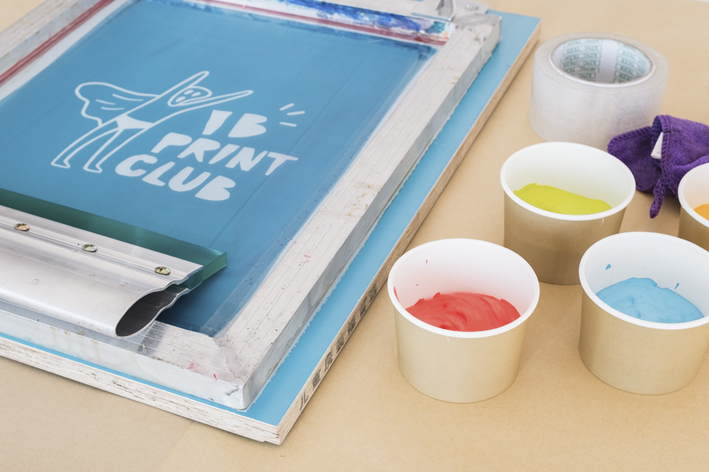 *Please email ibprintclub@idlebeats.com if you have any trouble booking the workshop online, thank you!